It’s that time of year again, we’re warming up with some awesome homebrews for our Winter Beer Fest. It’s happening on 21 July 2018 at the Bedfordview Scouts Hall from 10:00. Kids welcome, food stalls available. 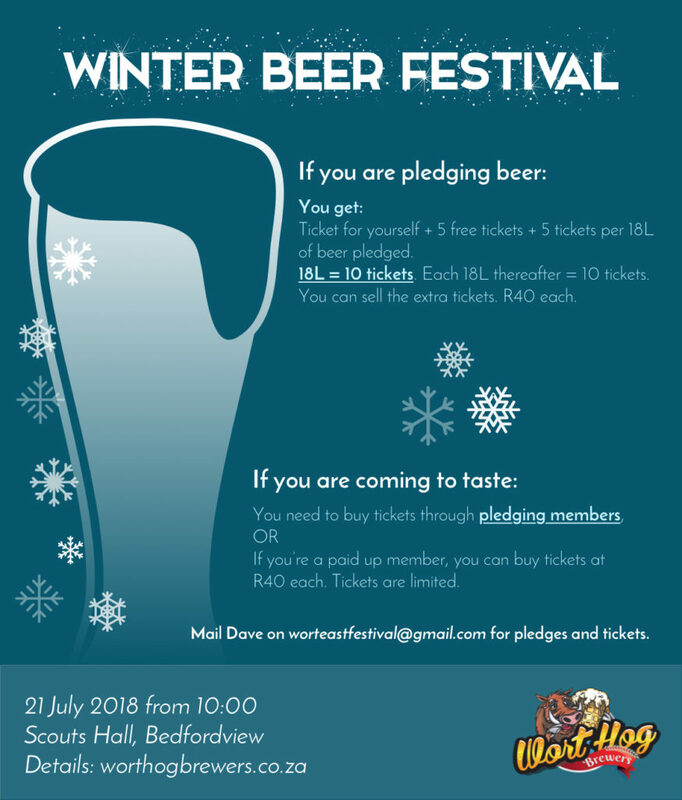 If you want to buy tickets or pledge beer, mail Dave on worteastfestival@gmail.com.